IFC-2015 errata: As of 1/10/2019, Fourth Printing is latest. PDF users, download from IHS. Errata are here (from ICC errata site here). NOTE: Building PC cat historical data is in ARCHIBUS. Access with cryptocard; select Space Inventory & Performance, then LANL Special Reports, then Define Seismic Data (newer RC or NDC/LS data may also be there). The contacts for updates are Kenny Feller and Scott Richardson. Equipment/Component PC and RC/NDC data is in CMMS (use IE). IECC-2015 errata: As of 1/10/2019, Third Printing is latest. PDF users, download from IHS. Older hardcopy users, errata are here (from ICC errata site here). LBO Permit Database (LANL WIN account required, enter password if prompted) NEW! IBC-2015 errata: As of 1/10/2019, Third Printing is latest. PDF users, download from IHS. Older hardcopy users, errata are here (from ICC errata site here). IEBC-2015 errata: As of 1/10/2019, Fifth Printing is latest. PDF users, download from IHS. Older hardcopy users, errata are here (from ICC errata site here). 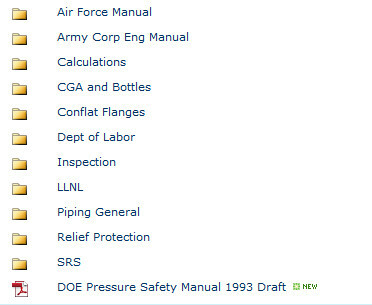 Chapter 17, Pressure Safety entire chapter (generally including attachments and amendments [labwide variances and clarifications as attachments]). ES Division Non-SSC Software Inventory (LANL only) NEW!! Chapter 21, Software entire chapter (generally including attachments and amendments [labwide variances and clarifications]).